It’s official! Red train has been transformed into The Hogwarts™ Express in celebration of Harry Potter™: the Exhibition at the Pacific Science Center. 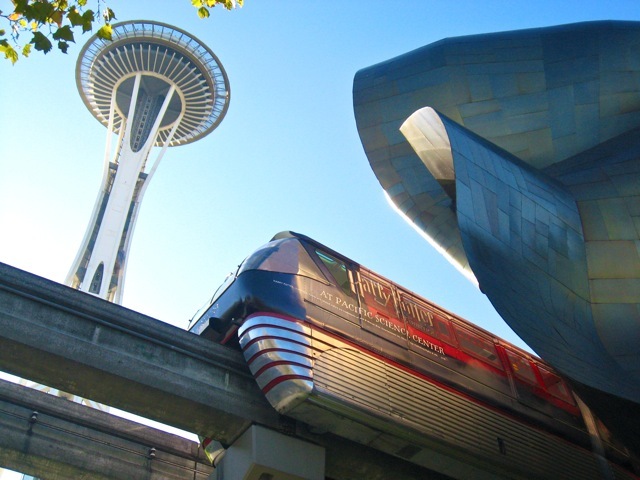 The train includes a steam locomotive whistle that announces the train’s arrival at Seattle Center. This entry was posted on October 21, 2010 by Megan Ching. It was filed under Information .